The celebration was attended by over 500 guests, including travel agents, aviation enthusiasts and experts, Eva Air employees and their family members. Taiwan Civil Aviation Administration director general Lin Kuo-shian, as well as Boeing and GE officials, were among the special guests who offered tributes to the beloved ‘Queen of the Skies’ unfailing service. With Eva taking delivery of its first two Boeing 747-400s in November 1992, the aircraft formed the backbone of Eva’s long-haul fleet throughout its early development, with the airline using them to launch long-haul routes from Taipei to North America and Europe. During nearly 25 years of service, Eva flew the aircraft to 28 destinations in its flight network, laying the all-important foundation for its on-going expansion. Eva’s 747s were put to some exceptional uses during their time, carrying high-ranking officials and Taiwan’s President on special flights, as well as transporting priceless treasures around the world, including precious Louvre artworks, an irreplaceable Chinese statue of the goddess Mazu, and even endangered species such as Pandas. As Eva decommissions its 747 passenger jets, it remains steadfast in its commitment to flight safety and service quality. Eva Air chairman, Steve Lin, said: “We have flown Boeing 747-400s for almost a quarter of a century and used them to create a glorious chapter in Eva’s history. 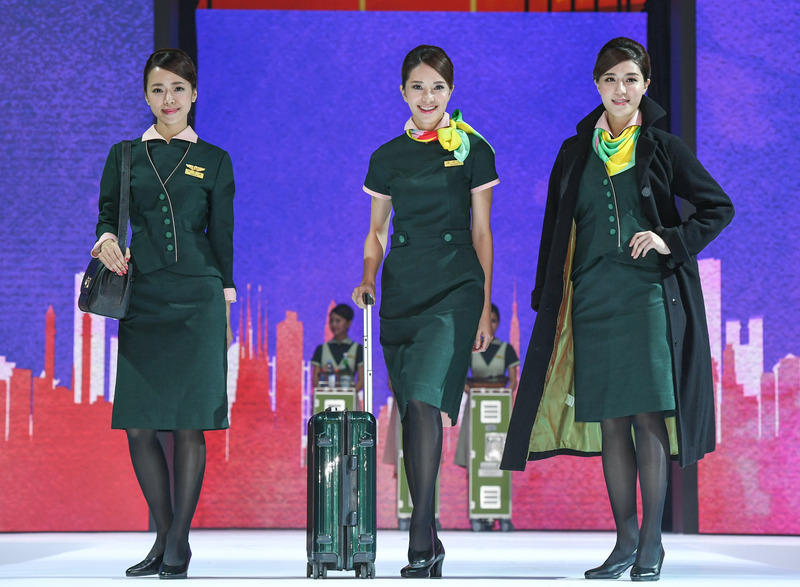 In a move fitting of the 747s reputation and excellence, Eva’s retired jumbo jet was the backdrop to the unveiling of Eva Air’s new, third-generation uniforms. Designed by Shiatzy Chen fashion house, the clothing was created to evoke Eva’s continuous pursuit of innovation in quality services. Eva believes the moment its service staff puts on their uniforms marks the beginning of their careers as professional team members. With this in mind, the new uniforms took two years to create, with designers visiting Eva’s check-in desks and lounges, as well as travelling on its flights to really understand the demands of the exceptional service staff and the airline’s concept of excellence. Lin added: “As we bid farewell to our ‘Queen of the Skies’ and her remarkable service, we welcome our new service image, our third generation of uniforms.